We, as the Associated Student Body of San Lorenzo High, as diverse as we are, dedicate ourselves to stand loyal to the Grizzly community and to make San Lorenzo High School the best, for the people, by the people. WHAT DOES IT TAKE TO BE IN LEADERSHIP? The Leadership class consists of members which are either elected or appointed officials which compose the ASB membership. The Leadership Course Description enumerates the expectations that an outstanding leader is expected to uphold. Is an example; models the values and traditions at San Lorenzo High School. Is positive, looks for solutions, focuses on the good, views problems as opportunities and exhibits enthusiasm. Accepts responsibilities for his/her actions, gets things done and makes things happen. Is dependable, punctual, and uses good time-management practices. Is trustworthy and loyal. Refuses to participate in gossip, rumors, or put-downs. Is inclusive; makes it a habit to involve others and reaches out to those who do not regularly get involved. Is able to problem-solve, sets worthwhile goals, develops effective action plans, successfully achieves their goals and manages time judiciously. Is service-oriented and selfless - more concerned with serving others than getting the credit. Demonstrates teamwork and interacts effectively with others in the roles of independent worker, co-worker, team leader, and/or group leader. Handles problems or disagreements directly and honestly while carefully maintaining confidence. 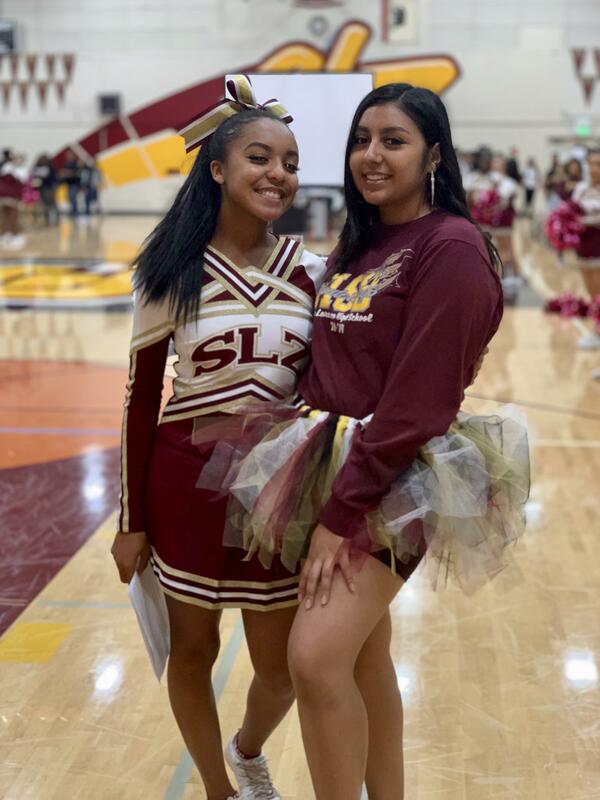 Regularly recognize the contributions of members of the school and community to San Lorenzo High School. Reaches out to others by organizing and participating in student government- sponsored service projects. Create a safe and welcoming environment. Create strong relationships between staff and students. Create inclusive and diverse events for the student body. 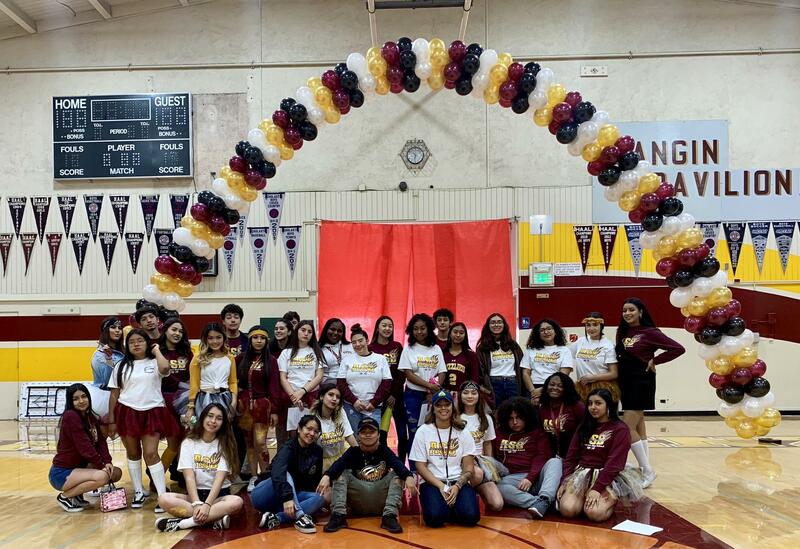 Event Commissioners and MCs Erynn Cartwright and Alondra Garcia hyped for Homecoming Rally! 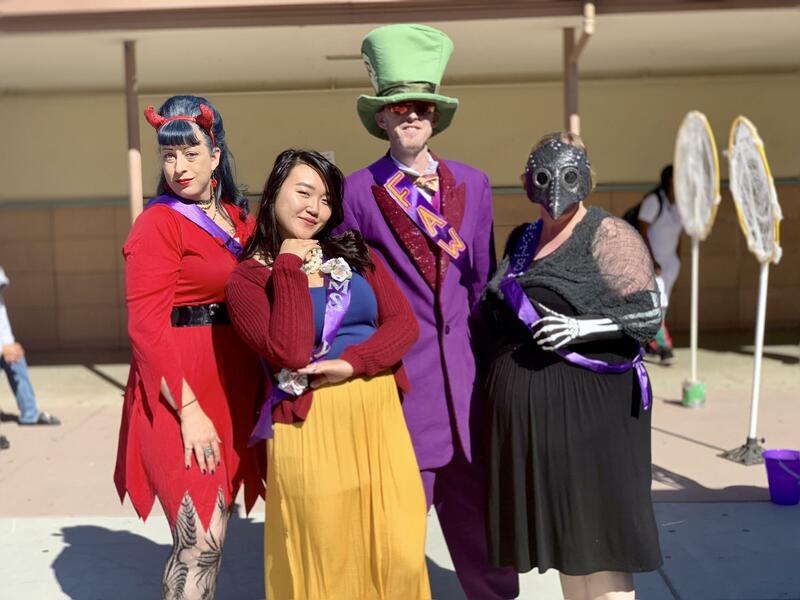 Our wonderful staff royalty dressed up in the Halloween Homecoming theme!